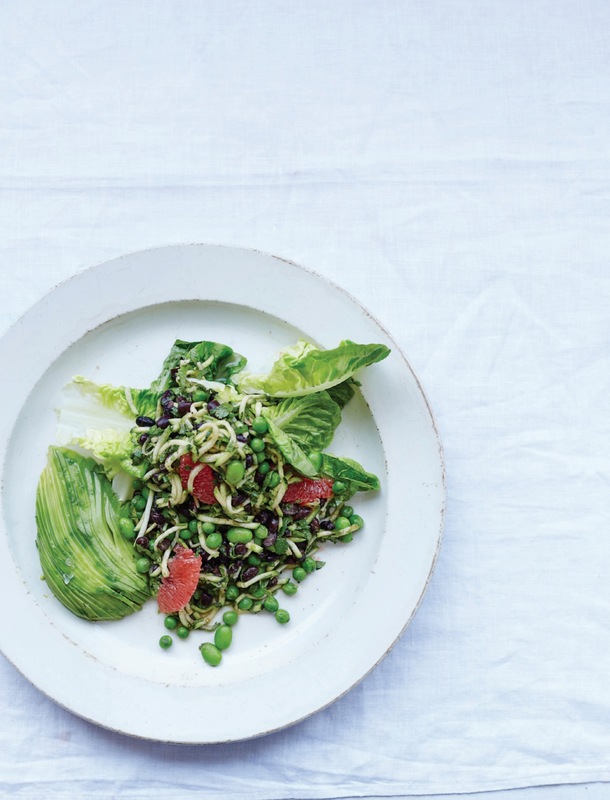 Utterly wholesome and full of good nutrition, this green dish provides tired bodies with a quick and sustainable energy hit. 1 Put all the dressing ingredients in a small food-processor or blender and blitz until smooth. Season to taste. 2 Put the black beans, peas, edamame beans, coriander and lime zest in a large bowl. Grate the courgette using a food-processor or by hand. Segment the grapefruit using a very sharp knife and add to the bowl along with the grated courgette. Toss with half of the dressing. 3 Serve with the baby gem and avocado and the remaining dressing drizzled all over. To encourage you to make the most of the outdoors we decided to explore Alfresco Dining. From big vegan Mediterranean hot pots, Mexican sharing platters, canapes, BBQ food, dips and desserts- you’ll have plenty of food inspiration to plan a great garden party. We’ve even thought about the best delicious drinks to quench thirst too. This month’s Essential Guide to Classic Cocktails will have you shaking, rolling and blending all kinds of fruit-infused alcoholic (or non-alcoholic) creations for your guests. 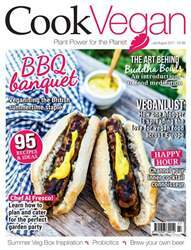 But, if you’re not a fan of cocktails, rest assured as this issue’s Cook Like A Pro will teach you how to brew your own vegan beer. In between all the BBQ and cocktails you are going to consume — we’ve added in some clean-eating foods for those still on the Bikini body bandwagon. We’ve delved into the on-going health food trend of Buddha bowls, while this month’s Special Report explores probiotics. And there’s more — our Nutritionist Notebook looks at seaweed. Will you dare to try it? Speaking of new things- we have brought you some fresh features. Our first Cookery School feature discovers Demuths, whilst our first Foodtale tells the story of an incredible vegan cook/blogger travelling Europe. We also thought it was important to fuel our foodie inspiration beyond the kitchen — our first Food for Thought feature looks at how pro surfer Tia Blanco fuels her sport with plant-based food. On top of all of that, we have our round up of the latest vegan products, news, cook book reviews, a handy little guide to leftovers and Jacqueline’s round up of the summer veggie box. One last thing, this is the season where social gatherings and opportunities to try new things are all around us. Go at it full steam. Experiment in the kitchen. Taste new foods. Dine in the unordinary mise en scenes. But, most of importantly, make memories. Here’s to the good times and the good food. Probiotics - got a gut feeling?